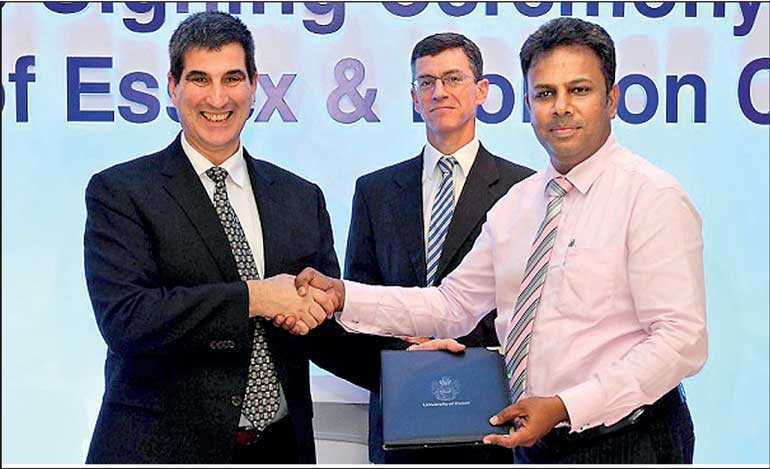 Horizon Campus, one of Sri Lanka’s leading private universities, signed a Memorandum of Understanding (MoU) with the University of Essex, UK as a first step to offering unparalleled Postgraduate Degree Programs to Sri Lankan students. The partnership will open doors for students to enrol for programs in Law and Information Technology (IT) in specialised areas, and is a refreshing step to diversify the current market offerings. 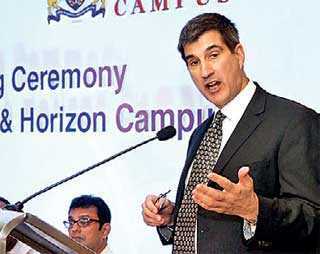 Established in 2011, the Horizon Campus offers internationally recognised qualifications in affiliation with foreign universities in the UK, the US and Malaysia. The Campus consists of five faculties offering courses in Management, IT, Science, Education and International Programs and is a member of the Association of Commonwealth Universities (ACU), the Asia Pacific Quality Network (APQN) and the International Network for Quality Assurance Agencies in Higher Education (INQAAHE). Established in 1963, the University of Essex is ranked among the top 30 universities in the UK and among the top 25 universities for research in the UK. The University was also recently recognised as the ‘University of the Year’ for 2018 in the Times Higher Education Awards. “Your goal, working together, will be to educate young Sri Lankans to foster their aspirations and their ambitions for the future and to give them the education and the training that offers a realistic expectation of fulfilling those aspirations and ambitions. I wish everyone involved every success in taking forward the partnership that we are here to mark the creation,” he said. 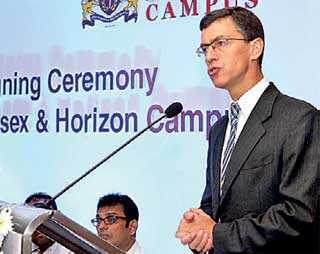 The event was graced by British High Commissioner to Sri Lanka James Dauris, University of Essex Vice Chancellor Prof. Anthony Forster, International Partnership Officer Sally Day, University of Essex Director of Communications and External Relations Vanessa Potter, Horizon Group of Companies Chairman Upul Daranagama, Horizon Campus Vice Chancellor Prof. S.J.B. 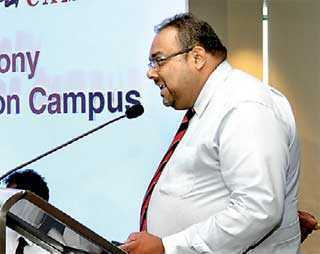 Jayasekara, Horizon Campus Deputy Vice Chancellor Dr. Ruwan Perera, Horizon Campus CEO Ajitha Wanasinghe and Horizon Campus Director Marketing Nilantha Ratnayake.